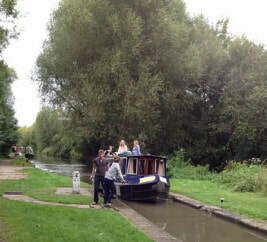 What happens if a boat has to go through stretches of water of differing levels? Or through rapids? When Lewis and Clark explored the west, they often had to portage their smaller boat around waterfalls and rapids. But it's not so easy with a big boat full of coal. Or people. The answer is a lock. The Erie Canal, for example, which rises some 550 feet from the Hudson River to Lake Erie, has 57 locks. Now you can impress your friends and coworkers with these tidbits of lock history. Try to do it only if the actual subject of locks comes up. Preferable not by you during a conversation about weekend plans. A note of disclosure: I may have gotten the following operation backward. If it doesn't make sense, reverse everything in your head and see if that helps. 1. 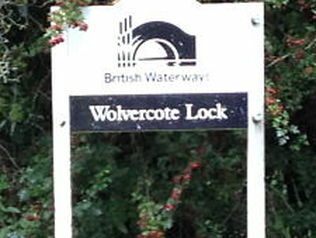 As you're coasting down the river, a handy sign will tell you that there's a lock ahead. 2. 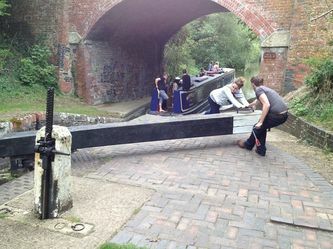 When your narrowboat approaches, send someone out to turn the first crank to get into the lock. 3. See how at the start the water on the left side is higher than the water on the right? 4. Using the handy dandy cranking tool you were smart enough to procure before you set off on your trip, open the "let the water out" part of the operation. Probably this operation has a name, which you will have to get from some other source. 5. 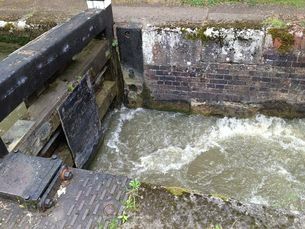 Once the lock is opened, water gushes out to lower the water on the left, which in turn lowers the boat. I believe there is magic involved. 6. Sit and wait patiently until the water level finishes lowering itself. 7. 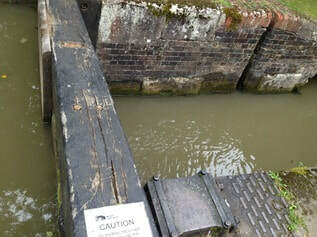 Then come back and close the lock so the next merry crew can repeat the performance. 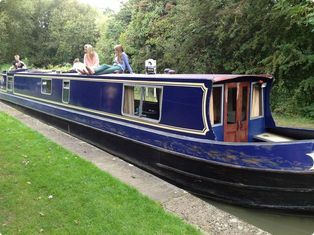 Lest you be misinformed: Not all narrowboats are as pleasant-looking as the ones I've shown so far. If this is your boat I am truly sorry. Your life must just be a mess. ​I remember from music class in grade school.